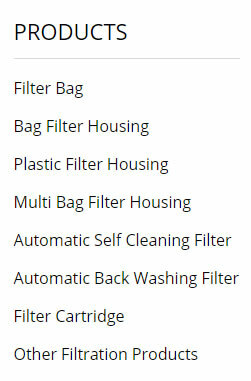 Plastic bag filter housing is a filtration system which is produce with PP (polypropylene)，taking advantages of excellent PP material, can be used for filtering a lot of chemical sour soda liquids. PP Bag Filter Housing, taking advantages of excellent PP material, can be used for filtering a lot of chemical sour soda liquids. It is really an economical and practical fine product, as it has no seam, no dead angle, accurate specification with high-quality, high capacity and efficiency. The new SIZE 5 plastic bag filter housing, solid structure, safe, reliable, easy to install, without any welding, economical and durable.Special material PP can be used for most chemical liquid filtration, corrosion resistance to most chemicals. special material: PP plastic material filter can be used for high temperature and high concentration of hydrochloric acid, sulfuric acid, aqua regia and other strong acid and alkali solution filtration and most of the chemical liquid filtration. Mini S6 PP Bag Filter Housing is a new plastic filter, entrance and exit into the national standard threaded one-piece, economical and durable.